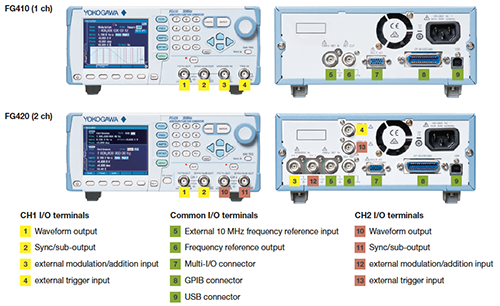 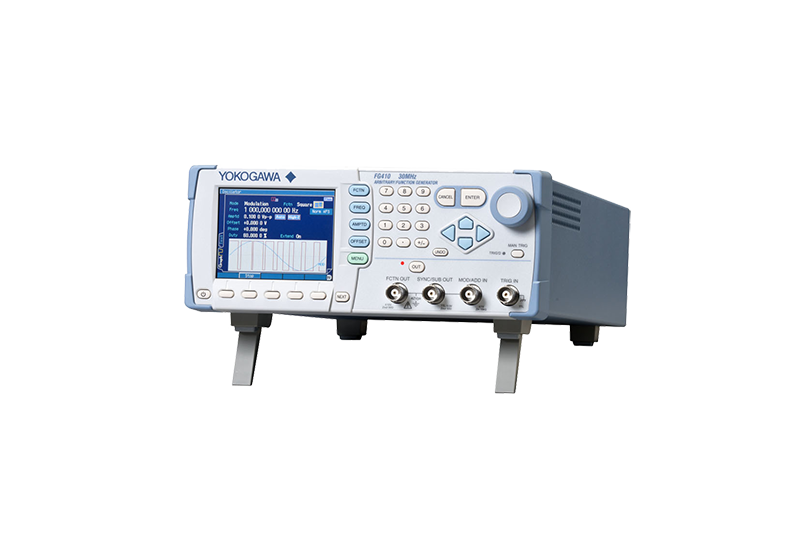 The FG400 easily generates basic, application specific and arbitrary waveforms with a sine wave frequency range of .01 µHz to 30 MHz. 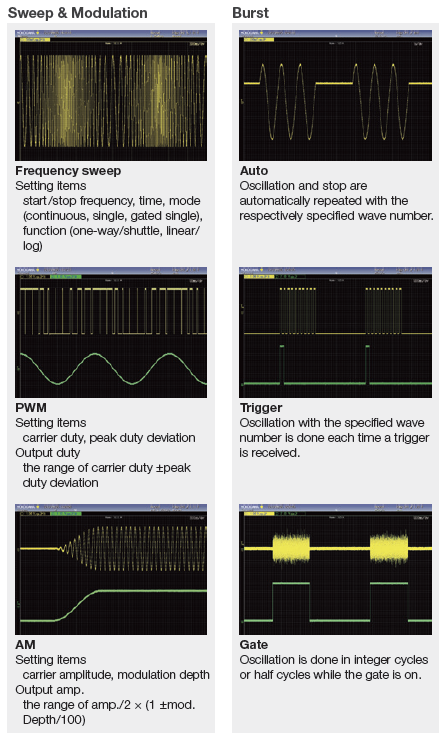 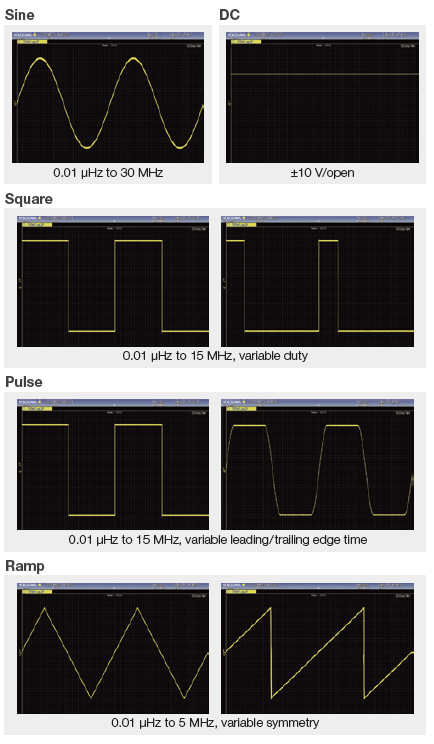 Output waveforms consist of Sine, Square, Pulse, Ramp, Parameter-variable, Noise (Gaussian distribution), DC and Arbitrary. 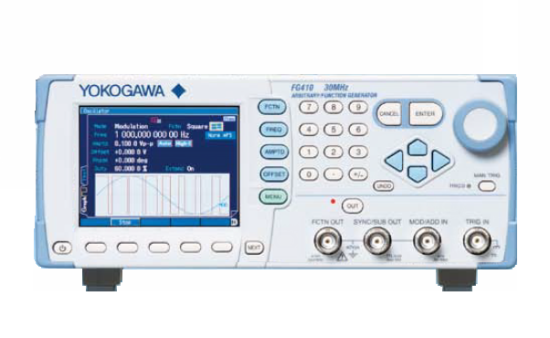 This unit includes isolated outputs that allow the user to use it in the development of floating circuits, like motor drives, inverters, power supplies and other power electronic devices. 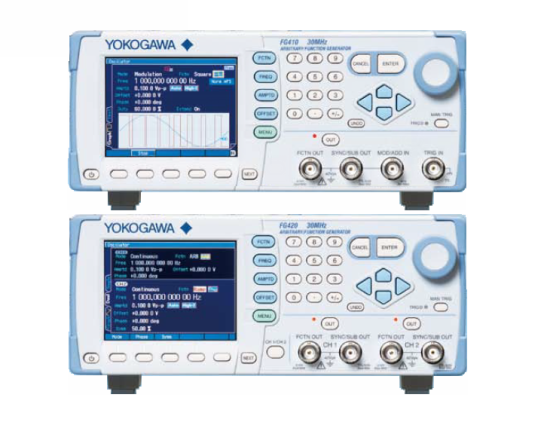 In addition, multiple units can be synchronized together to generate up to 12 phases of output.